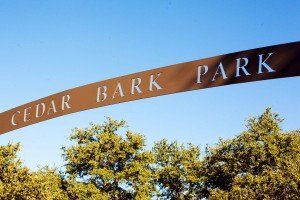 Get ALL The Information Before You Sell Your Cedar Park Home! No two situations are the same. We work with homeowners in all sorts of situations. And each situation requires a different solution. We do not believe there is a quick fix to handle all real estate problems. Some people benefit from a direct offer, while others will benefit from listing. That is where Texas Direct Home Buyers comes in. We want to review ALL of your options so you can make a smart, well-informed decision! More and more people are choosing a direct sale when they want to get rid of a Cedar Park house. We are conditioned to believe listing your house is the only way to sell it, when in fact, doing it by yourself saves you an incredible amount of time and money. The benefits to working with Texas Direct Home Buyers are numerous. Tell us about your property! We are interested in all houses in the Cedar Park area! Find out how we can help you! Fill out the form below to get started! There is never any hassle, risk or obligation! Texas Direct Home Buyers wants to make you a great all-cash offer on your Cedar Park home! Our process is fast, transparent and honest! Our offers are no-obligation, no-hassle and might even surprise you! Get in touch with us today! You don’t have anything to lose!